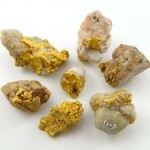 Fine examples of free gold in quartz matrix has been prized since the days of the California Gold Rush. Jewellers would pay double the gold value to the miners so they could create whole lines of jewellery and accessories. 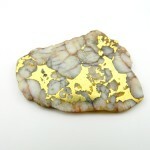 Even with the world experiencing the greatest gold rush ever, supply of gem grade gold in quartz is extremely limited. Placer Gold Design sources its collection from hard rock and placer gold nuggets from historic locations worldwide. The geology that produced quartz reefs with big gold of extreme high purity (96% plus) yields impressive material. Iron content of the soils can stain the quartz to an attractive red orange and pink color. Most material is found by individual prospectors with metal detectors. 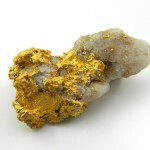 Throughout Canada’s mining history spectacular high grade gold has been discovered. Major new mine plans will encounter new material. 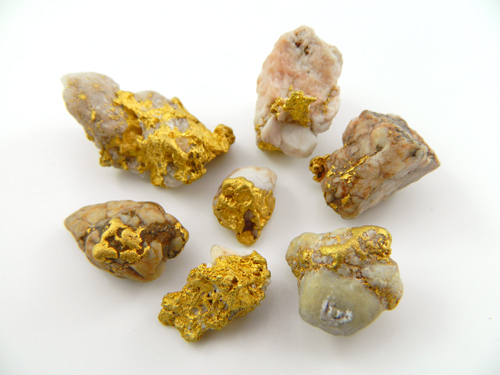 Placer sources in British Columbia continue to find jewellery grade gold quartz nuggets. 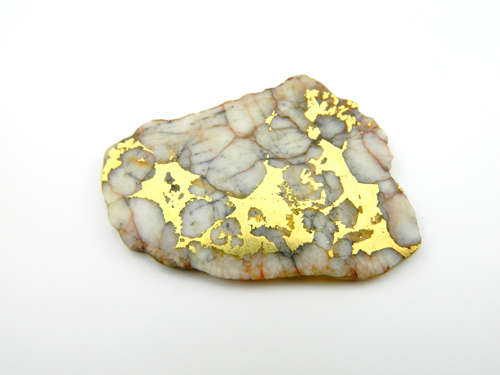 Long term relationships with the miners allow Placer Gold Design to have first access to new finds. 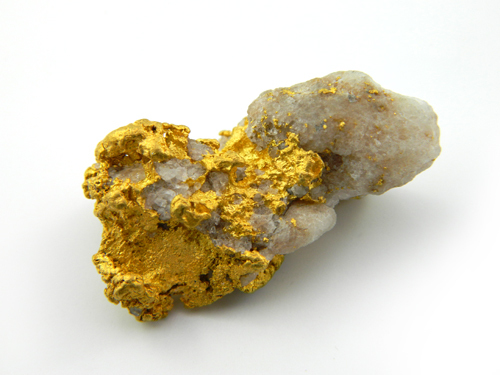 California being the “Golden State” should by all rights have natural gold in quartz as its state gemstone. After 160 years hard rock sources and placer quartz nuggets found by metal detecting still yield limited supplies. 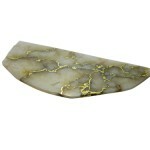 The ideal material is clean white quartz with approximately 15% gold by weight. Extremely fine specimen material is still being discovered. 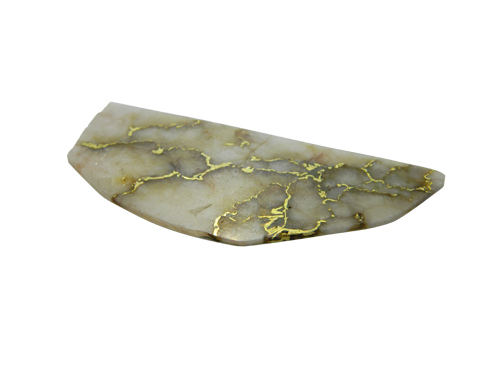 To see our collection of Gold Quartz Jewellery, click here.